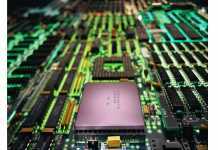 India has achieved a pre-eminent position in the field of Science & Technology, Space, Atomic Energy, Information Technology and newly emerging technologies such as Nano Technology and Bio-Technology. 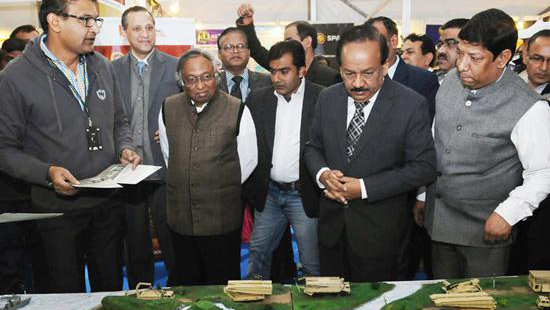 ‘In this process, we have created one of the world’s largest network of scientific laboratories and research institutions’, Dr. Harsh Vardhan, Union Minister for Science & Technology and Earth Sciences said while informing the Lok Sabha about the India International Science Festival (IISF-2016) – the largest festival of science in this country with its focus on “Science for the Masses”. The Minister added that the Prime Minister has directed that the benefits of advancements in Science & Technology must reach to the masses. Towards this, Ministry of Science & Technology and Earth Sciences has taken the initiative of launching India International Science Festival (IISF). Dr. Harsh Vardhan informed that IISF-2016 is not only a festival but a movement to connect common people with science and its contributions to our day-to-day life. IISF-2016 is being held at CSIR-National Physical Laboratory (NPL) Campus, New Delhi during 7-11 December, 2016. The event will be formally inaugurated by the Home Minister Shri Rajnath Singh on 8th December 2016 at 2.00 pm. India International Science Festival (IISF) as a major science event was conceptualized last year which was organized the 1st IISF at IIT, Delhi during 4-8 December, 2015 and was visited by more than 4 lakh people. It was a great success and also won the distinction of Guinness Book of World Record for successful conduct of Largest Practical Science Lesson by 2000 school students. The success of first IISF in 2015 gave the impetus to launch IISF-2016 with expanded scope, mandate and operation. Dr. Harsh Vardhan added that the IISF-2016 aims to encourage and develop scientific temper and attitude, promote exchange of knowledge and ideas among young minds including showcasing of recent developments and contributions of India in science and technology involving all our scientific departments. IISF-2016 will showcase India’s S&T prowess, technological developments, history of Indian Science and science education involving more than 10000 young researchers, school students, academicians and top level Indian scientists. It will witness several scientific activities such as Young Scientists Conclave (about 3000 young scientists), DST-INSPIRE Camp (1000 brightest minds to join with 200 teachers), International Science Film Festival (more than 80 entries from 10 countries), Industry-Academia Meet (with participation of 200+ industry and academic representatives) and Mega Science & Technology Expo (projecting technological developments through 400+ scientific models and exhibits). The Minister expressed his gratitude that nomination of students from various constituencies has led to organisation of an unique event – “Science Village” which will have a conglomeration of 3000+ school students from all across the country. These students from village level schools will be exposed to many scientific activities like interaction with scientists, watching scientific films apart from laboratory visits and tours around Delhi. IISF-2016 is expecting a large number of visitors (more than 5 lakh) from all walks of life to experience the festival of science and to interact with Indian scientific community. The Minister requested the House to join the movement by visiting IISF-2016, which will be the morale booster for young scientific minds who are going to reshape the future of India.